Samuel L. Jackson visits Fallon to rant about girl scout cookies and milk. 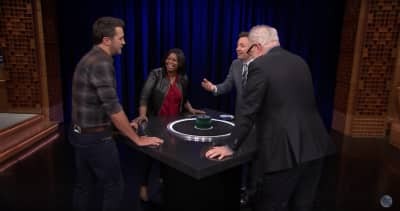 Watch Octavia Spencer play Catchphrase on Fallon with Luke Bryant and actor John Lithegow. See M.I.A. perform “Come Walk With Me” on Jimmy Fallon, plus watch her sit down for a brief interview about her new album, Matangi.